Leo Dennis Kozlowski was born on the 16th November 1946, in Newark, New Jersey, USA and is a businessman who is most “famous” for the Tyco scandal – as a former CEO of Tyco International Ltd., Kozlowski was responsible for paying an investment banking fee of $20 million from Tyco to former director Frank Walsh, and receiving $81 million in unauthorized bonuses from the company as well as for buying unauthorized an art collection worth over $14.7 million paid by, you guessed it – Tyco! Have you ever wondered how much wealth this profligate businessman has accumulated so far? How rich Dennis Kozlowski is? According to sources, it is estimated that the total size of Dennis Kozlowski’s net worth, as of early 2017, exceeds the sum of $600 million, been acquired through successful business, strategic acquisitions, and stock market sales as well as from the Tyco scandal already mentioned above. Dennis was born to Agnes Kozell, a school guard and Leo Kelly Kozlowski, a police investigator, and is of American and Polish ancestry. He graduated from Seton Hall University with a Bachelor of Science degree in 1968, and in 1970 began his career as auditor in mergers and acquisitions at the SCM Corporation. He later worked for several other companies such as Cabot Corporation where he was in the finance sector, and Nashua Corporation where he served as an analyst and director of audit. 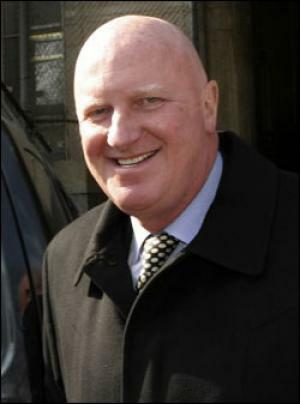 These engagements provided the basis for Dennis Kozlowski’s net worth. In 1975, Kozlowski joined Tyco Laboratories – later rebranded into Tyco International Ltd. – where he spent the next 27 years climbing the ladder through various chief’s positions to vice president, and finally in 1992 being named company CEO. Under the leadership of Kozlowski, Tyco dramatically expanded during the 1990s – from modest industrial parts manufacturing recording $20 million in annual sales to an international conglomerate with over $36 billion in yearly revenues. Through a series of smart investments and acquisitions in which he spent more than $60 million and merged over 200 small companies, Kozlowski raised Tyco to the very top of the global business scene, increasing its stock market shares value by almost 800%. All these accomplishments helped Dennis Kozlowski to increase his net worth by a large margin. Apart from his professional achievements, Kozlowski is widely known for his rather extravagant lifestyle and lavish parties – he spent over $2.1 million of Tyco’s money on organizing his (now ex-) wife’s 40th birthday party on Sardinia, Italy, which featured a private, one-hour concert by Jimmy Buffett and “vodka-peeing” full-size ice replica of Michelangelo’s masterpiece David. In 2000 Tyco allegedly paid $30 million for Kozlowski’s New York City’s apartment which featured $15,000 worth of ‘antique poodle umbrella stand’, $6,000 worth of shower curtains as well as a $2,200-valued gilded wastebasket. Apart from all these, Kozlowski managed to gather an impressive fine arts collection, worth over $14.7 million as well as $5 million worth of oceanfront estate based on Nantucket Island, all paid through Tyco’s accounts. All these “ventures” barely impacted Dennis Kozlowski’s net worth, as all those were paid by Tyco International Ltd.
A day after resigning from Tyco’s CEO position in 2002, Kozlowski was faced with charges for evading over $1 million in taxes for his fine arts collection, however, a mistrial was declared. Later that year, he was charged for “pilfering” $170 million as well as for receiving over $81 million in unauthorized bonuses from Tyco and almost $430 million for tainted expense reports paid again by, yes you are right – Tyco. In 2005, Kozlowski was found guilty and sentenced to serve between eight and 25 years in jail. However, in 2014 after serving eight years and four months, Dennis Kozlowski was released from prison. Apart from serving his time in jail, in addition he was ordered to pay $70 million to the US government as well as $134 million to Tyco. Doubtlessly, these heavily impacted on Dennis Kozlowski’s net worth. When it comes to his personal life, Dennis Kozlowski was married twice. From his first marriage with Angeles Suarez(1971-2000), he has two children. Between 2000 and 2006, Kozlowski was married to waitress Karen Lee Mayo, who obviously had the most expensive 40th birthday party ever, and receive a significant divorce settlement..